Arabsat 6A is a telecommunications satellite built for the Arab Satellite Communications Organization, a Saudi Arabian operator, which will serve to provide television, telephone and even Internet service coverage to various areas of the Middle East, Africa and Europe. It has a weight at launch of almost 6,500 kg and was launched towards a geostationary orbit. The difference compared to the Falcon Heavy rocket’s maiden launch carried out in February 2018 lies partly in its payload, which this time is a satellite for a commercial mission. In the test launch Elon Musk’s Tesla Roadster was sent into space, transforming the mission that aimed to test the new rocket into an extraordinary promotinal show. In the over 14 months since that launch, the Falcon 9 rocket has been improved and SpaceX started using the version called Block 5 of the first stage, also known as a booster, now also used in the Falcon Heavy with the three side by side booster configuration. The consequence is that now according to SpaceX this rocket can send 8,000 kg into a geostationary orbit recovering the three boosters and about twice as much mass recovering only the two side boosters and losing the central one. The separation sequence is the already known one, with the two side boosters that were the first to separate and then begin the maneuvers that led them to landing on the appropriate Cape Canaveral platforms. 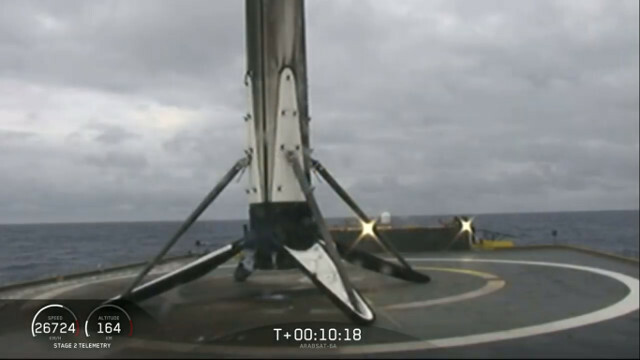 After a few seconds, the second stage also separated from the central booster, which instead attempted to land on the automated marine platform “Of course I still love you”. The only flaw in the maiden launch was the loss of the central booster, which is different from the normal Falcon 9 rocket’s boosters because it has an extra structure for the connections to the side boosters. This time the central booster was recovered as well so the mission was a complete success. 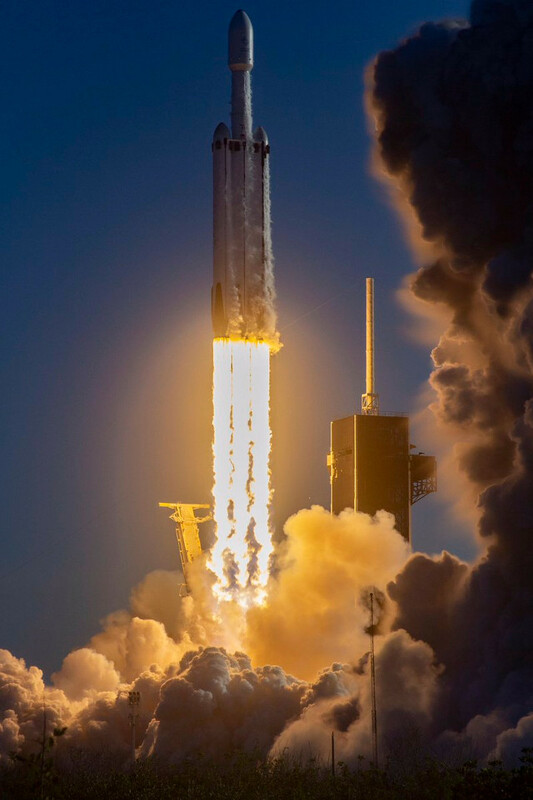 With the Block 5 booster version the Falcon 9 rocket has become really powerful and can launch large satellites as well but the Falcon Heavy allowed to give the Arabsat-6A satellite an extra boost which is important to limit the use of the satellite’s on board fuel needed to bring it into the geostationary orbit. In practice this means that probably Arabsat-6A will have fuel to keep its orbit for a few more years. 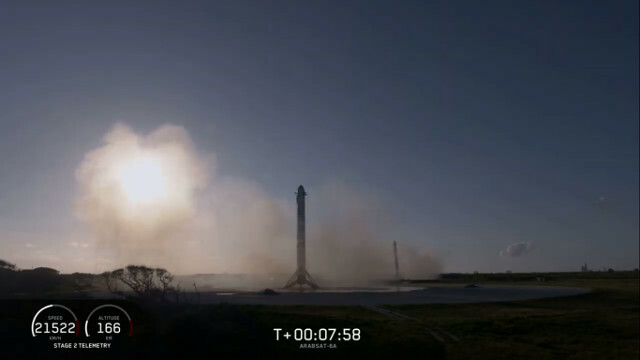 In essence, this is a great new success for SpaceX that, after so many delays, shows that the Falcon Heavy rocket is ready for commercial missions.